Though meant as a celebratory feature in nature, our 2018 Awards have to begin with some melancholy. In the time that I’ve been here, the RPGamer Awards have always been Mac’s project and one he looked forward to every year. Last year was a difficult one for many reasons but we have managed to stick with it and are pleased that we at least managed to get the new site off the ground with his help. One thing Mac did was make sure that RPGamer would keep going even in his keenly-felt abscence and I’d personally like to take this opportunity to thank all of our readers, be it those who have stuck with us over the years or new ones that we’ve picked up recently, as well as all the volunteer staff here past and present. It is thanks to all of you that the site has kept going for more than twenty years and will keep going into 2019 and beyond. This year RPGamer covered over 150 unique releases. Some of these included brand-new original games while others were fabulous re-releases of classics. It was a great showcase for all the genre can provide, ranging from huge epics to minute-long bite-size pieces of action. After taking our traditional month off, unbound by deadlines, to digest these RPGs, the RPGamer staff has voted and tallied up our Best of 2018. Please enjoy. These awards are dedicated to the memory of our friend Michael A. Cunningham. 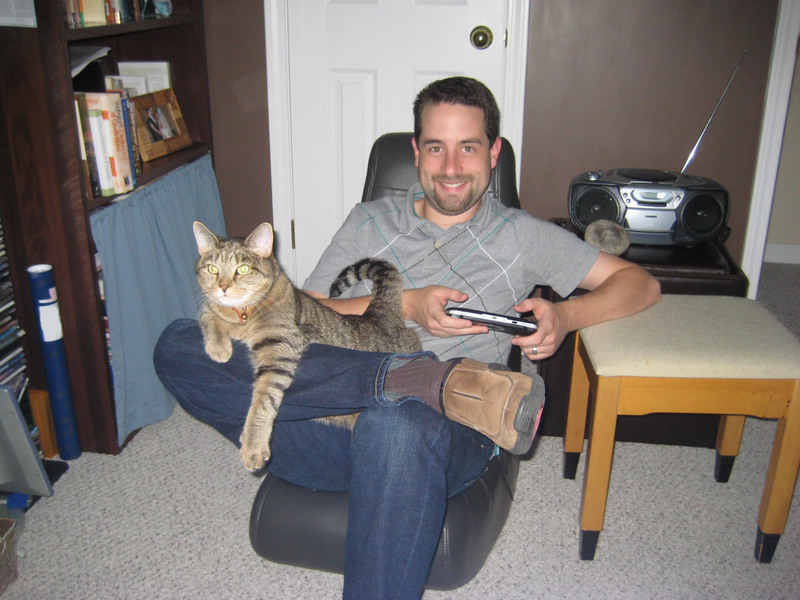 Mac started at RPGamer in 2006 and would go on to become the long-running Editor-in-Chief. While Mac loved RPGs, he especially loved handheld games, founding the #TeamHandheld hashtag as well as running a personal project site, Pocket Console, where you can read more of his musings on portable games. You can see Michael’s top games, which is to a Google Document because Mac loved organizing lists in spreadsheets, a tradition continued with our speadsheet-based awards voting form. You can also read the tributes to Michael from the community as well as a list of our favorite works by Mac as well as Francis Gayon’s musical tribute based on Mac’s favourite game, Final Fantasy IV. Also, a special thanks to our friends at RPGFan who dedicated their recent Top 25 Nintendo 3DS Games and Top 20 PlayStation Vita Games features to Michael’s memory. The other thing is that I can not be convinced that Witch and the Hundred Knight 2 isn’t the worst RPG of the year. I think that’s a case of being the sole staff member to experience that particular piece of junk. I got a good sampling of the worst that RPGs had to offer last year and HK2 easily was the worst. Problematic characters, uninteresting story, terrible procedurally generated dungeons that all looked alike (and would have looked at home on an earlier console) and the worst ARPG combat I’ve experienced. So bad; so frustrating; it was just the worst without the excuse of bugginess. It was just bad conceptually. I have a feeling it will haunt me for years to come. I’ve been a long time lurker of this site and RPGfan and I look forward to your awards pieces every year 🙂 great work again guys. My choice is “Dragon Quest 11 – Echoes of the Elusive Age” due to its depth, a story line filled with twists and turns, superior graphics, and numerous mini games. Hope that the “Dragon Quest 3” remake will come out for the Playstation 4 soon. I knew I should’ve bought DQ when it was on sale. After reviewing this list and listening to the GOTY 3 hour podcast, I think the crew really dropped the ball when it comes to Octopath Traveler. Having just finished a 200+ hour play through of the game, I cannot see it as anything less than a gem. The combat system, graphics, and soundtrack are all top-tier and the soundtrack deserved a far better rating than it received in these awards. I did not see any of the pacing or repetition problems that the podcast group kept referring to. The strategic elements of the combat system kept the battles fresh throughout. Even after 60 and 70 hours I was still experimenting with character buffs and combos. I understand that opinions on games are subjective, but when it comes to Octopath, I honestly feel as though I played a different game than the one the RPGamer crew played. How No No Kuni II ranked in the top three for GOTY and Octopath did not is beyond me. Ni No Kuni II was almost universally panned for its ease and lack of decent narratve. Octopath delivered eight individual narratives that remained interesting and reminded me of a D&D campaign where a diverse group of characters comes together—each retaining his or her own backstory and motivations. Apologies for the long post, but felt it necessary to respectfully dissent from the crew’s take on this one. We welcome all respectful dissents! Thanks for taking the time to write this up. I’d disagree that Ni No Kuni II was universally panned though, there’s tons of love for it out there, along with many glowing reviews. Long posts are good – healthy discussion is always welcome. I agree with you (I think Octopath is really solid and I liked it better than NNK2), but personally I think it also has a heavy ask: getting to Chapter 2. The initial stories feel very detached and not all of them are especially interesting. Also, I fought everything I could gathering all 8 chars (didn’t have the lowered encounters on) and I was still only level 12 – far below the recommended level 20 starting point for the easiest Chapter 2. Unless you’re really resonating with one or more of the stories, it can turn away players at that point. That’s a huge pacing problem. Which is too bad, because the game gets far more interesting once you hit Chapter 2 stories, get subjobs (which the game does a terrible job guiding you to), and start playing around with ability combos. No game blew me away this year. Granted I haven’t started kiwami 2, so I suspect that might change. I think dq11, octopath, and monster hunter were all really good games but not to the lvl of 2017 where four or five games probably topped all three of those easily. @wheels & @pawsrpg – Thank you both for the replies. I actually found the narrative structure of OT a welcome reprieve from the same, trope-filled, tale of a group of characters coming together to save the world. Moreover, the eight individual stories are what Nintendo and Square had promised in all of the game’s marketing materials: (i.e. “Eight Travelers. Eight Adventures”). I can see where the SaGa-like structure might not be to everyone’s liking, but kudos to Acquire\Square for the truth in advertising. I will also admit that I did not run into the same leveling difficulties. This may have largely been a function of the amount of time I spent in the game exploring and trying different combat strategies, but I never found myself under leveled or having to devote hours to mindless grinding. It is true that the game does not highlight the sub-jobs and they do take some effort to locate. Perhaps because of the games I grew up playing, but that aspect did not bother me. Digging into a game and spending a significant number of hours exploring is not something I am always able to do these days, but I decided at the outset that OT was a game I was going to spend several months enjoying. Locating the sub-jobs was certainly worth the time and effort. I come from the base of gamers who would argue that Bravely Default is the greatest (and truest) ‘Final Fantas’ game since IX, so Octopath’s nostalgia resonated with me. That said, Octopath was more than a dose of nostalgia. Its combat system was stellar and I think the SaGa-like narrative structure worked well—especially if you stick with the game and see it through. Thanks again for replying and sharing your thoughts. As one of the people on the podcast who wasn’t a fan, I’ll chime in to say that I didn’t think it was a bad game. I thought the narrative concept was interesting and I liked the ideas behind the battle system. It’s just a game that didn’t click with me. I think it could have used more enemy variety (it just felt like I was fighting the same enemies over and over) the dungeon design was pretty weak, and for me it felt like there could be too long between the characters chapters where I would forget what was happening. It was one of those games where I wanted to like it and It didn’t click for me. It may be why I sound a little more down on it than I do about other games. I certainly don’t begrudge anyone liking it because it had lots of interesting elements; they just didn’t click for me.